Spent 3 days here in April with my wife and two teenage daughters and had a fantastic time. The lodges are clean, inventively decorated and have all the mod cons required to make you forget you are staying in a wooden lodge. The surrounding area is beautiful and within easy travelling distance of tourist spots such as Glenfinnan monument and the White Sands of Morar. Mallaig is just 7 miles away and the ferry to Skye can be accessed from there. While Fort Wiliam is the nearest town with large supermarkets there are enough shops in Arisaig and Mallaig to keep you going during your stay. First visit to Reuben’s Highland Retreat and I will certainly be back and recommending to all. The lodge (Morar) was fab and ample space for two adults, two kids and a dog. It was the perfect space to come home to after a long days walking and exploring. The local area is stunning and you can’t get bored of the views ever! Can’t wait to return hopefully sometime soon. We have stayed here twice and it’s been absolutely brilliant. The location is ideal with so much going on right on your doorstep. We have been in the Loch Ness lodge both times and the morning views out the living room window are stunning. The silver sands of the nearby beaches are breathtaking. The lodge is so comfortable with all the cooking equipment you could think of. The beds are the most comfortable ones we’ve stayed in. Lovely fresh bedding and great interior design. We will definitely be back! 5star rating from us!! Great lodges, 3rd year staying and always very comfortable. Views fantastic looking over towards Skye and the small isles and wonderful sunsets. Plenty of room for the family and spacious lounge and kitchen. Very good base to explore Arisaig and surrounding area whether its discovering the white sandy beaches, climbing the hills, getting a Harry Potter fix on the Jacobite (when it runs from Mallaig over the summer) or taking the Sheerwater from Arisaig marina to the Small Isles. At the end of the day good to come back to warm comfortable lodge and relax, then sit outside and enjoy the sunsets. Kids love it (mine are 5 and 8) and always friendly neighbours in the other 2 lodges. Not forgetting the 'resident' Bobby the dog who is very docile and great with kids. Just had a wonderful holiday staying at Loch Ness Lodge. Everything was just perfect. The wonderful views when you open the curtain, of the Skye Cuillins and the Small isles is a great way to start the day. We found the lodge cosy and spotlessly clean, with everything required for a relaxing stay. Beautiful new kitchen. Loved the plaid carpet in the living room and of course the quirky star wars memorabilia...kids will just love the Harry Potter bedroom and you can hear in the distance, the steam train ( Hogwarts Express ) passing by about midday. The local pub is about a twenty minute walk and had some fantastic live music on the Wednesday and Friday evenings that we were there. A short walk from the lodge takes you to the most beautiful white beaches. If you are looking for a relaxing holiday in one of Scotland's most beautiful areas then I thoroughly recommend Loch Ness Lodge and Reubens Highland Retreat. spent great week at Arisaig in west high lands at Reubens holiday retreat great location not far from beach which were excellent for kids to play in ,silver sands ,clear water which only came up to knee high when tide was in & could easily venture out from shore . 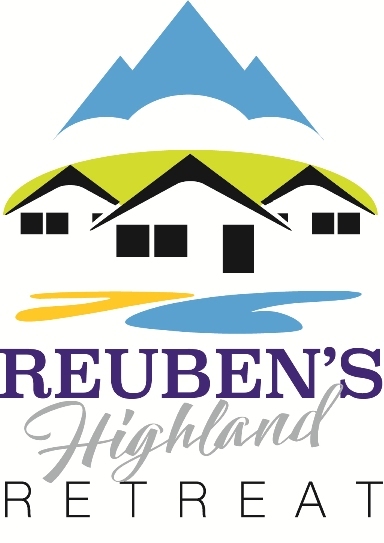 Reubens retreat were excellent for location ,clean & tidy own private secure parking ,great views from front porch . best sleep had for long time being shift worker must have been the Air ! located well if you fancy taking ferry to isles only 7 mile & can jump on train from any of the small villages to Mallaig with some fantastic scenery certainly will head back soon .